Rhinoplasty is a common and successful surgery that can be life changing for so many men and women. When performed under a skilled and experienced facial plastic surgeon, the outcomes are natural, soft, and add a symmetric balance to the face. However, it is sometimes a shared notion among plastic surgeons that rhinoplasty is difficult to get right. This has to do with many factors ranging from surgeon skill to understanding the patient's nasal structure thoroughly so that the procedure can be a success. While most rhinoplasties do provide successful outcomes, some will fail to produce the right results. Plano, TX facial plastic surgeon Dr. Masoud Saman is known throughout the region for his outstanding rhinoplasty results. He commonly visits with patients who are not pleased with their original rhinoplasty surgery taken place under a different surgeon and wish to have a secondary or revision procedure. Revision rhinoplasty is a reconstructive process that addresses a specific problem resulting from the first nose surgery. In some cases, if the initial approach was too aggressive, the result can be a greater loss of cartilage and bone, which affects nasal shape and function. At Saman ENT & Facial Plastic Surgery, we invite patients to visit with Dr. Saman for a complete and thorough consultation regarding why they are not satisfied with their results, and together we can create a surgical plan to attain the right outcome. "I work in a hospital so for me it was easy to choose Dr Saman as my doctor/surgeon . While other doctors walk with that God complex attitude , Dr Saman lets his results talk for himself . His personality , bed side manner and his biblical modesty makes you comfortable like you’re talking to a good ol ‘ friend . His knowledge is second to none . Just to put stuff in perspective to understand better what Dr Saman is ..... well ..... Dr Saman is Leonardo DaVinci . Dr Saman is creating individual masterpieces , he takes the time and is painting the best human version of you . When you’re getting into a procedure with Dr Saman and his wonderful team he’s inducing you that sentiment of everything is going to be ok and nothing can go wrong .... and guess what .... he’s right . Don’t be shy or afraid , take a dive into Saman’s Wonderland and you’re not going to be disappointed . A big shoutout to his office too ..... you guys are phenomenal . THANK YOU !" "Utterly Impressed - I'm utterly impressed with Dr Masoud Saman . Fantastic bed side manner , professionalism and extremely knowledgeable . When you're stepping in Dr Masoud Saman world you're stepping into a world of marvel . He makes impossible , possible with just a flick of his magic hands . He is a Leonardo Da Vinci and everything that he touches turns to diamonds . Fantastic experience and outcome . If I..."
"I've been to many consults for my deviated septum and rhinoplasty and after my first visit with doctor Saman me and my husband agreed it wouldnt get any better than dr. Saman. Him and his team are perfect!" Secondary rhinoplasty can often be challenging as Dr. Saman works to correct or fix a problem stemming from the first surgery. During this process, he will generally use an open approach so that he can assess every aspect of the nose and understand what needs to occur to attain a healthy and natural-looking outcome. This entails separating the skin from the support framework of cartilage and bone. Dr. Saman will re-sculpt the nose to a more desired shape depending on the problem being addressed. If additional tissue is needed, an autologous approach is typically taken, which uses cartilage and bone from the patient. Not all revision rhinoplasty surgeries are complex. In fact, some patients are actually very happy with their outcome, but simply want a bit more reshaping. If this is the case, Dr. Saman may do a slight touch-up to reduce the shape or the edge of the tip. The imperfection is usually found and discussed during a post-operative appointment and if necessary, Dr. Saman will address the issue. This surgery is less complex than the original surgery and may only involve slight shaving of the bone. It usually produces results that both the patient and Dr. Saman are pleased with. Prior to undergoing a secondary nose procedure, Dr. Saman will discuss the expected outcomes with the patient. Secondary rhinoplasty, depending on how complex the surgery is, will generally be performed under general anesthesia in our accredited surgical facility. The duration of this surgery depends on whether the nose is being fully reconstructed or if a minor alteration is being made. Similar to the original surgery, patients will leave our surgical center wearing a nose splint and will have slight bruising and swelling for a few days. While a revision surgery can be somewhat unnerving for patients, Dr. Saman helps reassure that the goal during surgery is to produce the best possible result and return the nose to a natural appearance. He has performed countless revision procedures and understands the complexities of the nasal structures. He takes the time to meet with his patients to educate them on the process and help them feel confident going into surgery. 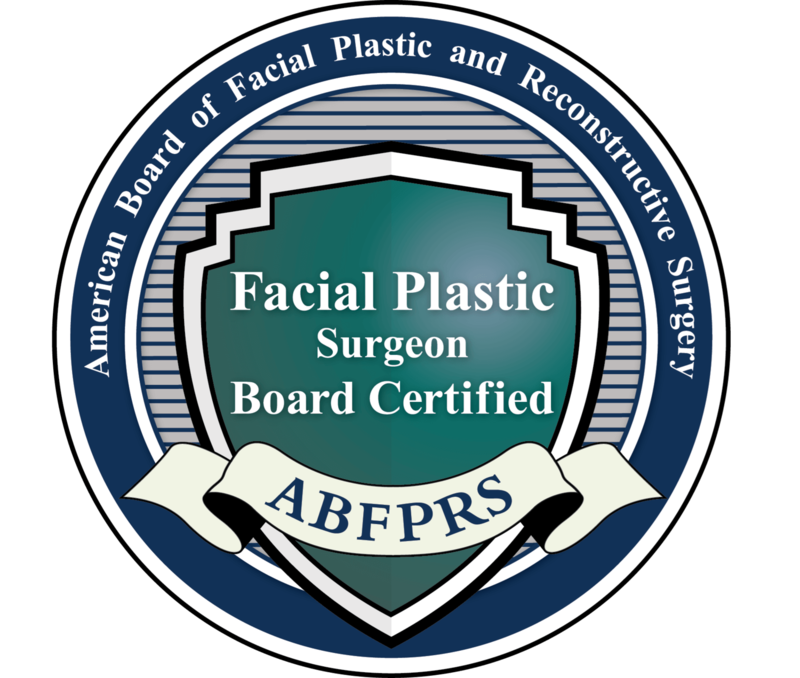 If an experienced facial plastic surgeon is performing this procedure, the results are often very good. An experienced rhinoplasty surgeon, such as Dr. Saman who is trained and skilled in revision surgery, will understand the dynamics behind what went wrong during the first operation and how to correct the problems with a secondary rhinoplasty procedure. While the revision procedure itself can sometimes be quite complex, the results are often pleasing to the patient. It is extremely important to do your research when looking for a revision specialist. Revision rhinoplasty is actually somewhat common. It varies by practice and by rhinoplasty surgeon, but some experts put minor revision rates between 5 – 15%. A large majority of these patients desire only tweaking and minor adjustments. True reconstruction and major revision cases are on the lower end of the spectrum.